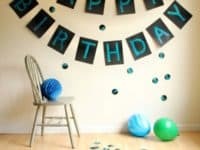 When it comes to birthday decor, we’re pretty big advocates for making as much of it as possible yourself! 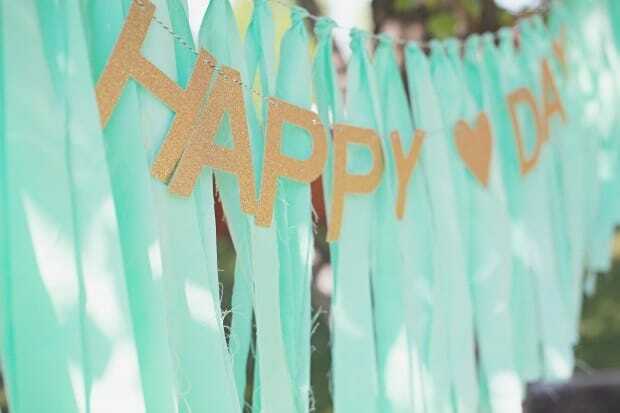 Not only does it make things more customizable, but you’ll also have a lot more fun preparing for the party and your guests will be able to tell that everything has a caring personal touch to it. 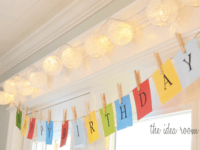 Our favorite part of most birthday decor schemes is the banner! 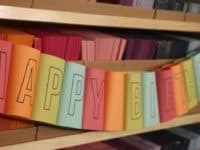 Whether you make it a one time thing or create something reusable that you can pack away until next year, the banner is an important part of the celebration and building a fun aesthetic. 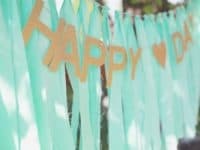 Check out these 15 beautiful DIY birthday banner designs that will add a little extra cheer to your loved one’s day! 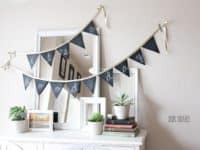 As long as you’re comfortable with a few basic sewing techniques, then this fabric flag design is a great option for you! 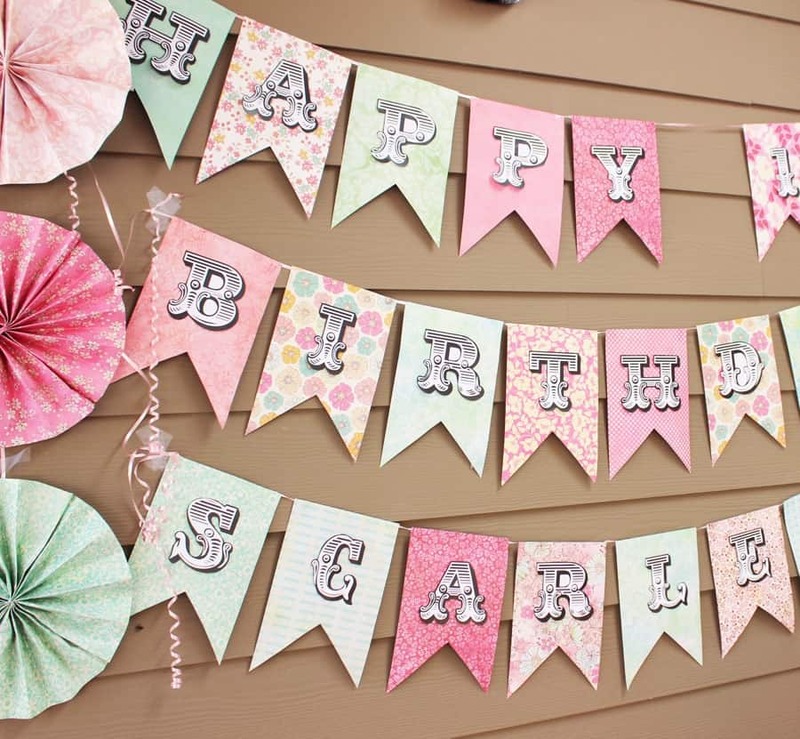 We love the way Crazy Little Projects used all different colours and patterns strung together in one banner to really make a fun design. 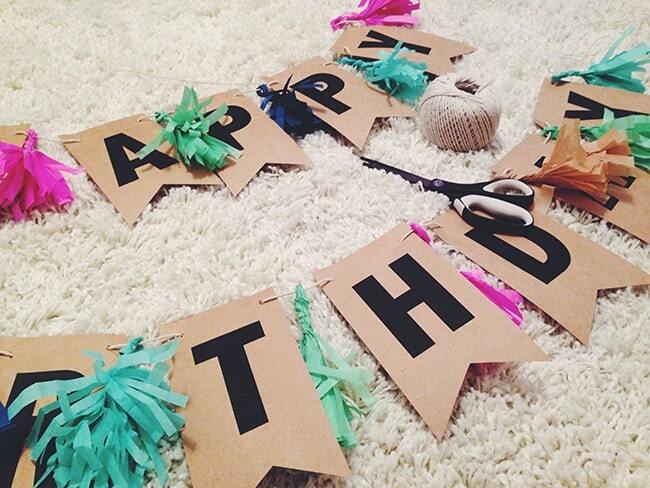 Once your flags are made, simply iron on some fun letters to spell out “happy birthday” and voila! 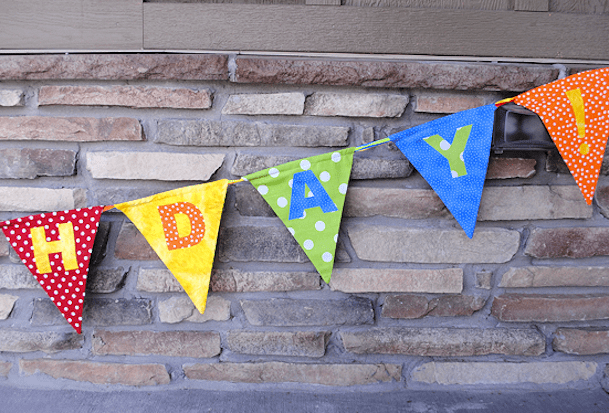 Perhaps you love the little flag banner design but you’d like to be able to use it for all kinds of different events rather than just birthdays? Then this little chalkboard design is the one for you! Delia Creates shows you how to cut and coat the flags and sew the ribbon so that it looks cute when you hang it up. 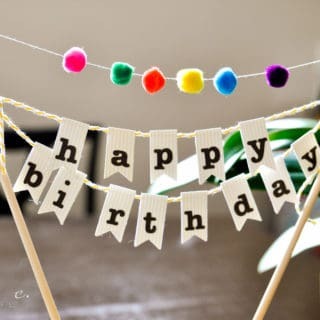 Simply write your message on with chalk and wipe it off when you want it to say something else! 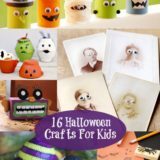 Are you looking for a much easier design that your kids can help you make, rather than something involves careful measurement and sewing? Then this jumbo flag made of simple painted construction paper might do the trick a little better for what you need. 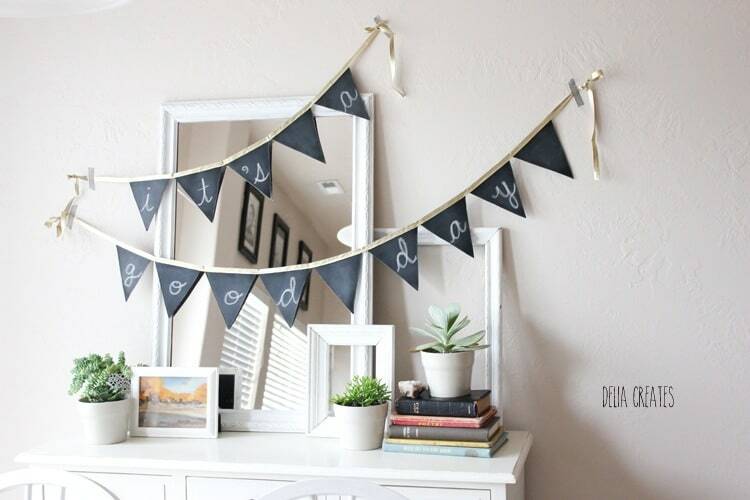 Hank and Hunt shows you how to attach the pages featuring your letters into a banner shape after you’ve painted your message. 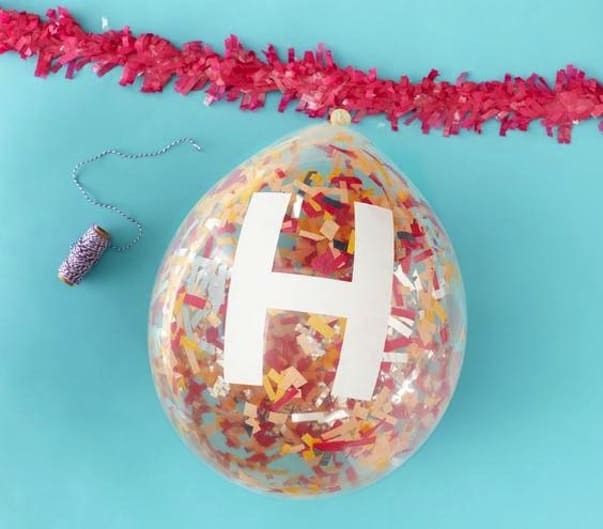 This extra fun confetti balloon banner from Real Simple might be our favourite design on this whole list! 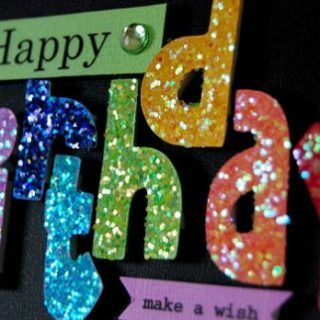 Before yo blow the balloons up, stretch the openings and fill them with colourful or metallic paper confetti. 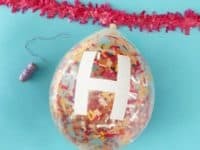 After they’re inflated, simply paint, draw, or stick the letters you need on each one before you tie them into a garland and hang them up. This design isn’t reusable because the balloons will eventually lose their air, but it’s a whole lot of fun while it lasts! take it down at the end of the night to let any kids in attendance play with the balloons. 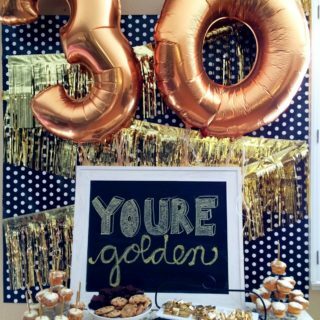 Are you looking for something with a little more glitz and glamour to it because you’re celebrating an older birthday, but you still want the design to be very fun? 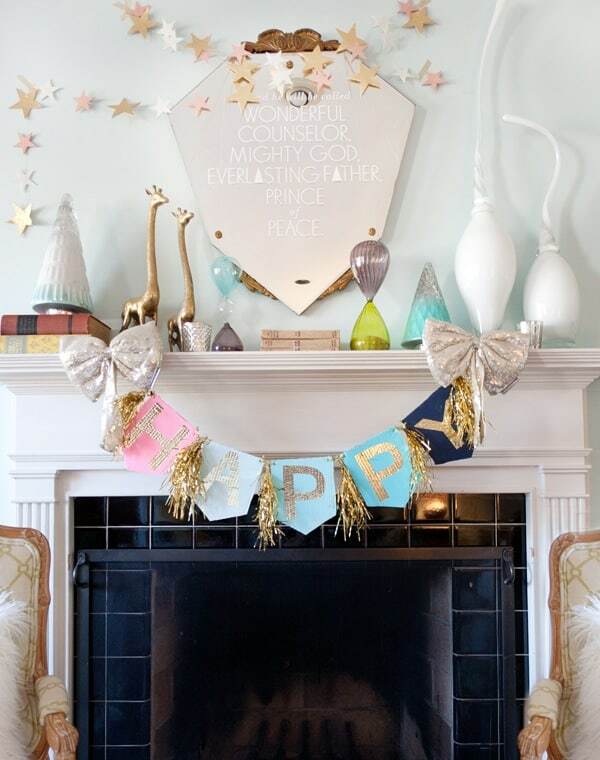 Then we think you’ll really enjoy BHG‘s gold leaf and fringe garland design! 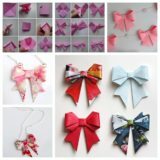 As if those things weren’t enough, we love that they added a gorgeous bow on either end. 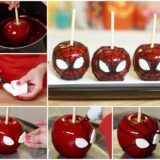 Here’s another super simple idea that your kids can help out with so you can have it made in no time at all! 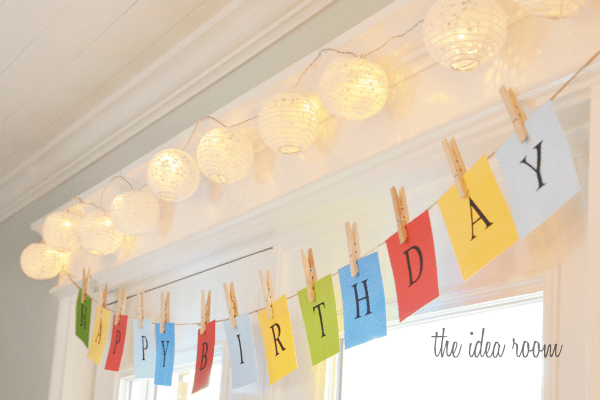 Gather brightly coloured papers and print, draw, or paint a letter on each one and use clothespins to string them in order along a piece of string, yarn, or ribbon. 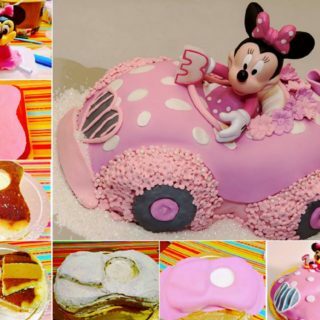 We have a feeling this is the part your kids will enjoy helping with most! Get the full details from The Idea Room. 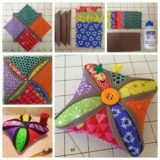 Are you an avid sewing enthusiast with a hoard of scrap fabric leftovers lying around but you don’t feel like sewing today and you’d rather use your supplies in a more unconventional way? Then get shredding! We love this stripped fabric design from Elizabeth Kartchner, especially when it’s paired with sparkly lettters! 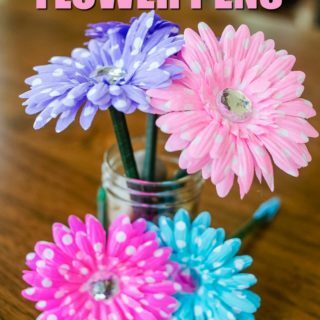 Even if you buy these rather than tracing and glittering them yourself, the effect will still make an impact. 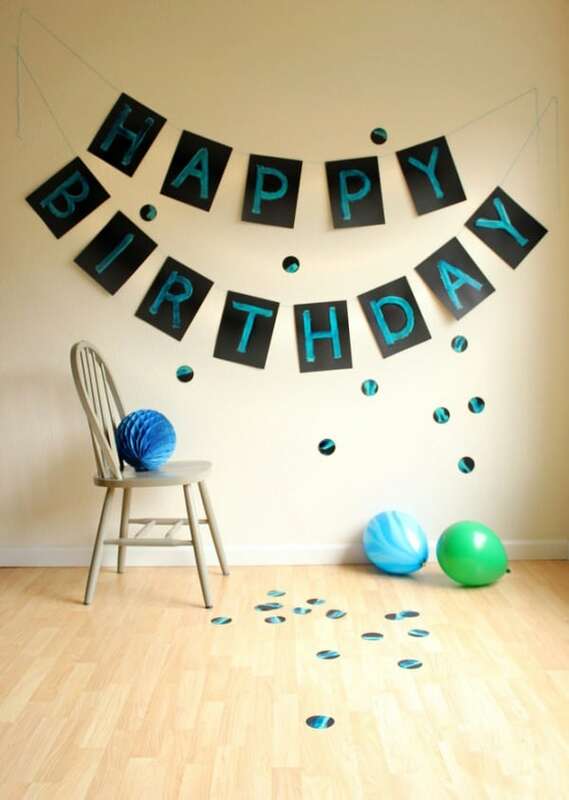 Are your favourite party garlands the ones that are 3D and really stand out from the wall to catch guests’ eyes? 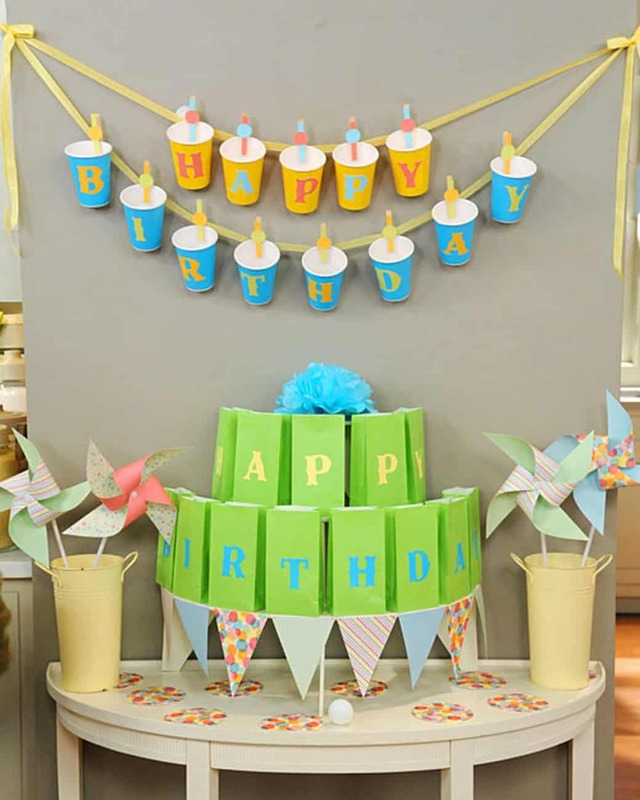 Then we think you might appreciate this party cup banner design from Martha Stewart! 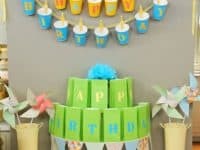 Glue or paint the letters in your message on separate colourful party cups and then string two levels of ribbon up so you can attach the cups all along by their edges using clothes pins. We’re in love with the way these clothespins have even been decorated to match the colour scheme of the cups. 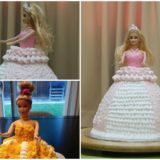 Talk about attention to detail! Do you have a collection of decorative napkins that you might never use, or perhaps a colour and pattern scheme that’s hard to match in decor because it’s really specific? 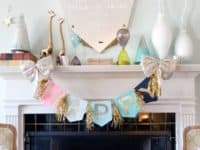 Then get crafty with your table wear and make a decorative banner around the edge of the room by folding napkins all along a string or ribbon! You might put letters on the napkins if their pattern is more subdued, but we think this simple design from Design Dazzle speaks volumes too! 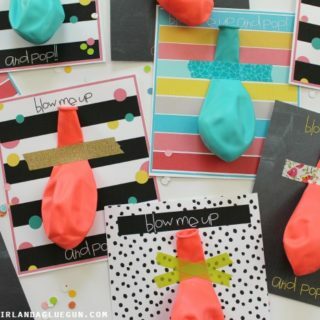 Are you a huge fan of scrapbooking who already has a whole stash of letter stencils, hole punches, and decorative styles of paper and card stock at your disposal? 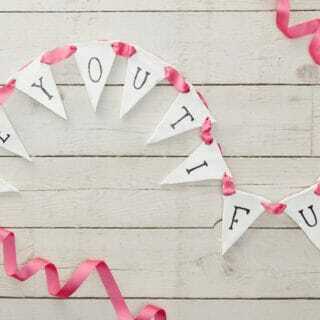 then you’re all set to make a beautiful birthday bunting customized to whatever pattern or colour scheme your guest of honour loves best! We’re pretty big fans of this pretty pastel version by Soho Sonnet. 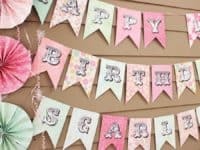 Are you intent on making a banner or bunting but you’re trying to keep it affordable and use supplies that you already have access to? We don’t blame you for a second! That’s why we love this simple cardboard design from Take a Bite so much. Whether you make or buy the paper fringe bundles, including them will take the whole design to the next level and add a fun pop of colour. 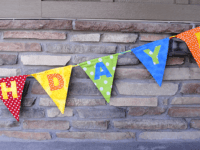 Is your birthday boy or girl a total outdoorsy type, intent on having a party that involves the kinds of games kids might play at summer camp? 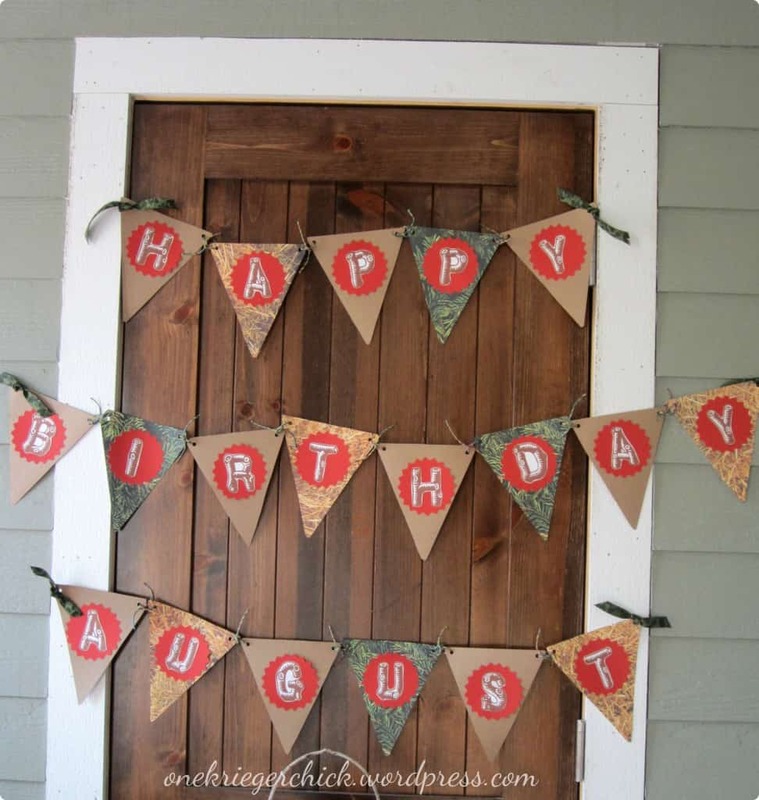 Then run with that theme and create this camp style birthday banner by One Krieger Chick! We love that some of the flags are plain and some have grass or hay images in the background for contrast. Is your child a massive comic book fan who’s been worshipping super heroes since they were old enough to flip through the pages themselves or turn the channels to the comic network on the TV? 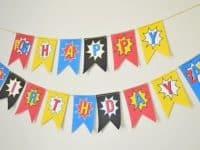 Then a super hero birthday party is the perfect idea, but you’ll need a matching bunting to really round the theme out! 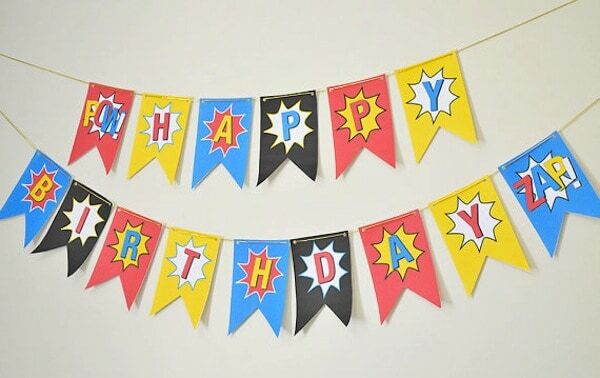 We love the way Kiyomi Designs used colour blocking, clean cut letters, and primary hues to create a banner that mimics the art found in the comic books themselves. Are you looking for a design that’s quick and simple to make but that has a little more texture and shape than other designs? 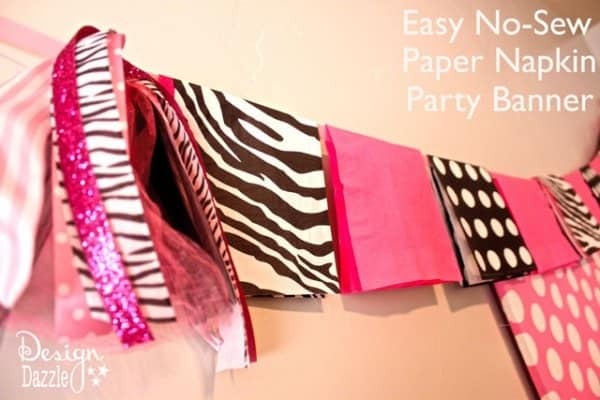 Then this rolled paper idea is perfect for what you’re trying to achieve! 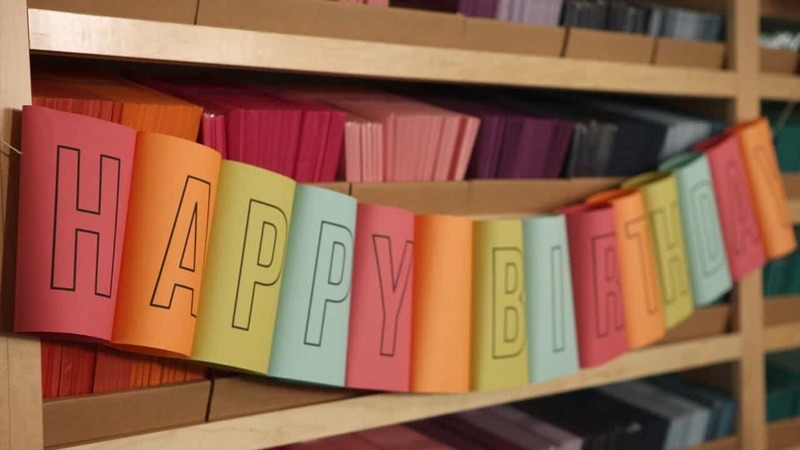 Simply print, draw, or paint the letters into fun coloured pieces of paper and then roll the sheets into cylinders so the letters show on the outside where they can be read. 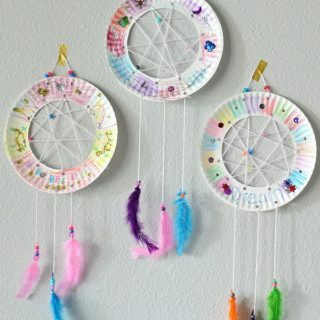 Then follow the steps outlined by Kin Community to string them along so you can hang them up! 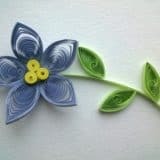 Do you feel like getting really creative with your coloured paper, glue, and scissors? 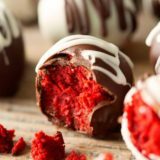 That sounds like a project that’s right up our alley! Or perhaps we should say it’s right down our train track? 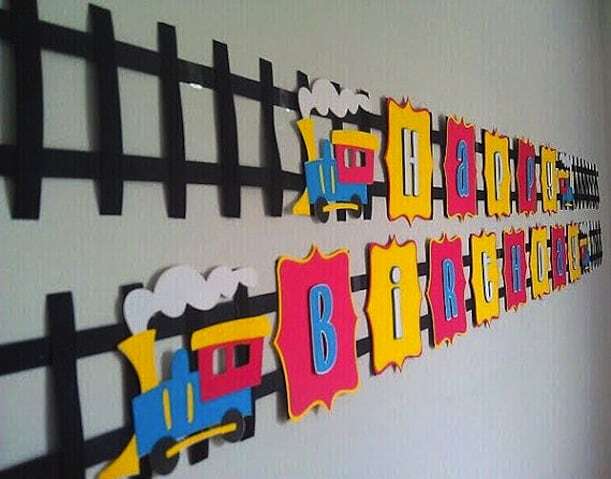 We love the bright layered letters of this cute little choo choo train design by Giggle Bees, and we also quite like that it’s a lot easier to do than it looks as long as you’re careful with cutting your edges nice and neat! Have you made other amazing DIY birthday banners that you love, but that you don’t see on our list? Tell us all about them in the comments section! 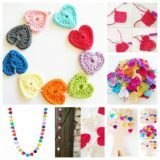 Celebrate Color: 13 Lovely Things to Make With Ribbons!